Stonehaven Community Council has called for a public meeting with AWPR staff to get a clearer picture of the works planned for the A90 at Stonehaven and the impact they will have locally. 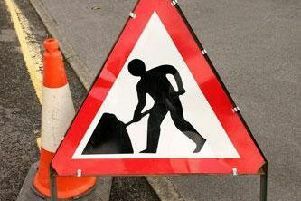 Major redevelopment is due to start on Tuesday as work begins to demolish a bridge carrying the trunk road over the B979 Netherley road. A report from Aberdeenshire Council has warned that the work, which will see a contraflow system in place for approximately 42 weeks, will have a “significant” impact on traffic coming through Stonehaven during peak times. Cllr Clark added that the AWPR representatives had been “very communicative” and had invited community councillors to visit and speak with them. However, members agreed that this was not sufficient and a public meeting should be held to address concerns. A date is yet to be set for the meeting.